British Airways are in the process of upgrading its in-flight service for its premium economy cabin – World Traveller Plus. So onto the catering. 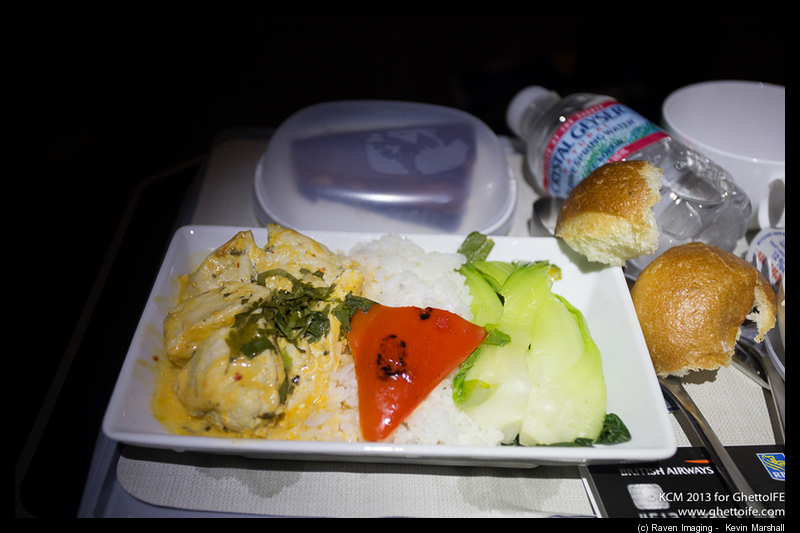 World Traveller Plus catering has been an odd mix of a premium meal for the first service, and for the second service – you got what everyone else in World Traveller got. The new menus go live on the 1st February. They will feature a third menu choice and depending on the flight – a more substantial hot second meal later in the flight. British Airways are also bringing in the ability for passengers to pre-order their meals too (with last orders taken 24 hours before departure), via the Manage My Booking tool. In terms of soft product, the airline amenities in the cabin, with the promise of with new amenity kits, quilts and pillows. As you are aware, the new World Traveller Plus seat launched on the Gatwick network last year, which features a larger IFE screen, six-way head, leg and footrest on the Boeing 777 fleet (along with the tight World Traveller seats). The same seat has now been confirmed for the launch of the Airbus A350 in this cabin. Welcome improvements in World Traveller Plus? It’s at this point where I have to declare more than an interest in the World Traveller Plus refresh. Whilst I love flying Business Class – I do use British Airways World Traveller Plus more often than not when travelling back from North America to the United Kingdom – mainly, as I want to be awake on the ground as I have other places to go to (such as Hamburg). Let’s have a look at some first service examples from different years. As you can see – most of my selections have been beef – as I’ve avoid the pasta normally (and if Airplane has taught me anything – it’s to stay away from the fish). They’ve been reasonable meals – nothing out of this world, but reasonable. In most cases, for the second service, you get either the breakfast box (before that was downsized), the muffin (before that got up-sized) to the cold breakfast roll that is now offered (or whatever BA can get cheaply). Differentiating the Premium Economy cabin be very tough. I’ve noted that Lufthansa isn’t sure how to position it’s Premium Economy product – let alone deliver it. Hence catering is one way to to make a difference. I am cautiously welcoming this change as a user of World Traveller Plus. There seem to be positives with new catering and soft furnishings – as well as new seats (depending on the Boeing 777 you sit in). However, there are plenty of older planes with the older, inferior product – with small IFE screens and a seat that has seen far better days still. Delivering a quality product throughout the different variants of the British Airways World Traveller Plus cabin will be a challenge – one I hope the airline rises up to. It’ll be interesting how far these changes roll out by the end of March… when I can report from the field what’s changed – or not.